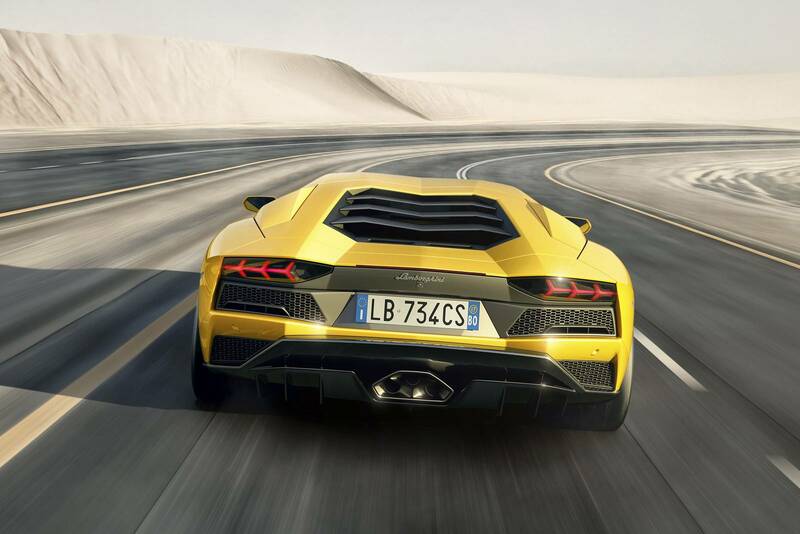 The iconic Italian brand Lamborghini has provided a look at its next generation of the V12 Lamborghini, the Aventador S.
With new aerodynamic lines, redeveloped suspension, increased power and new driving dynamics, the Lamborghini Aventador S has been created to set a new benchmark for super sports cars. The new iconic design of the exterior—with a more aggressive nose and longer front splitter in front and a black diffuser and vertical fins in the rear — focuses on aerodynamic performance. Inside the sports car offers a new four-wheel steering system, significantly enhanced suspension and electronics, and a more powerful V12 engine, outputting 740hp and enabling acceleration from 0-100kph in 2.9 seconds and a top speed of 350kph. Customisable driving modes also allow the driver to select between four different choices — STRADA, SPORT, CORSA and the new EGO mode option, which provides several additional profiles that can be customized with the driver’s preferred traction, steering and suspension settings and saved within the STRADA, SPORT and CORSA modes. AppleCarPlay is available as standard, allowing the driver and passengers to manage voice-activated communications and entertainment from their own personal Apple devices. The Lamborghini Aventador S will be available from spring 2017 at a suggested retail price of US$421,350.